Australian Helga, formerly known as Southern Hallertau is an aroma hop known for its delicate floral and subtle herbal aroma. 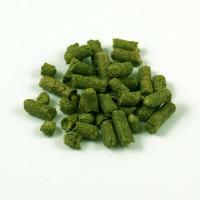 A very mild and pleasant aroma make AU Helga hops an excellent companion to stronger malt driven ales and lagers. 1 oz.